3 Lombok Best Destinations For Honeymoon! Welcome to Lombok and be ready for the fabulous destinations. On my previous article, I’ve explained 3 Cheap and Affordable Lombok Tour Packages you can pick. Traveling to Lombok can be something more special for everyone. Looking for a good place to create unforgettable moments is easy especially for honeymooner. Lombok offers uncounted destinations for couples. Here I have listed 3 Lombok Best Destinations For Honeymoon! Let’s take a look! Senggigi is world-widely known as the main tourism destination in Lombok. The most visitor will come to this place as a starting point before heading to other destinations. Senggigi has become the most attractive destination for many many years ago. The beach is stretched out about 12 kilometers to the north side. The calm and smooth sand on the beach will take you to the feeling of living in paradise. These three small islands are famous for their beautiful beaches. Gili Trawangan is the big brother has been the most favorite. 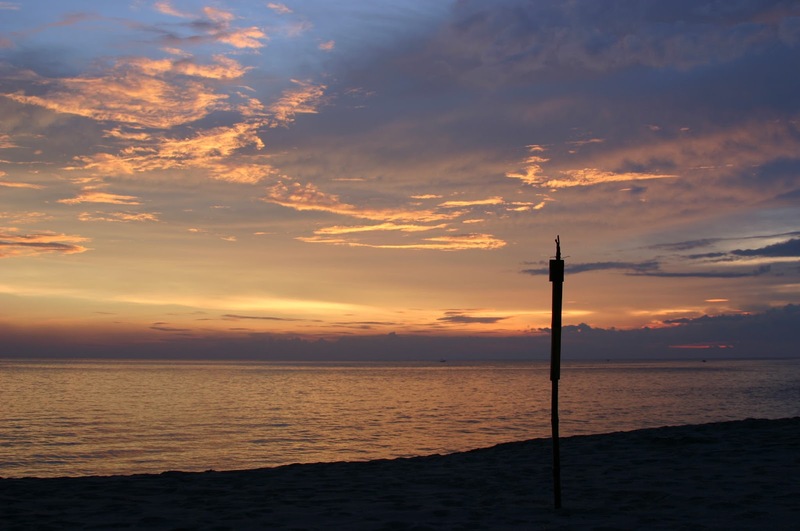 Located on a turquoise sea, Trawangan offers stunning nature and neighborhood. You will rarely meet the locals in Trawangan. It is crowded by foreigners who come along way from many other countries. 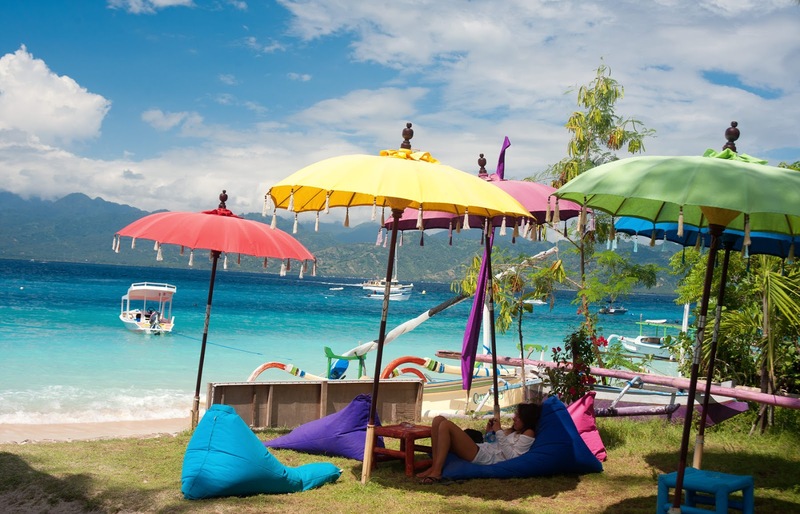 It is needless to say Trawangan is a paradise island. Many resorts with 4 stars label are available. They even serve the best foods with a variety of menus. Sleeping in Trawangan with your loved ones will be much comfortable with the mesmerizing view of sunset and sunrise. Gili Meno also can’t be hesitated. It is another paradise with a little quiet than Trawangan. 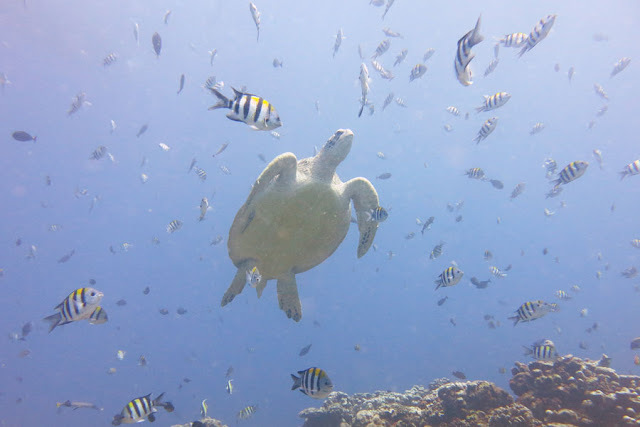 Meno offers beautiful underwater with various corals and reefs and fish. Snorkeling spot with unique sculpture under the sea is mainly hunted by visitors. The sculptures are shaped in a circle and are started invaded by marine species. 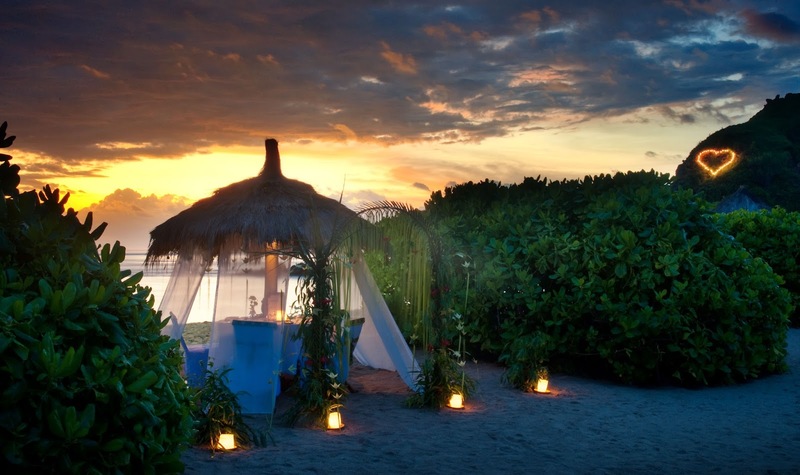 Romantic dinner at Gili Air, Lombok. Kuta is located in Central Lombok, the coastline with the beautiful white sand beach. Kuta is dominated by hills and high waves. It is famous for the surfing spot and many surfing centers are available. Off the beach, you can discover the locals' livelihood and friendly greet. Resorts and restaurants are getting better and under development. It doesn’t mean Kuta is not ready. Romantic stay at Novotel Kuta, Lombok. 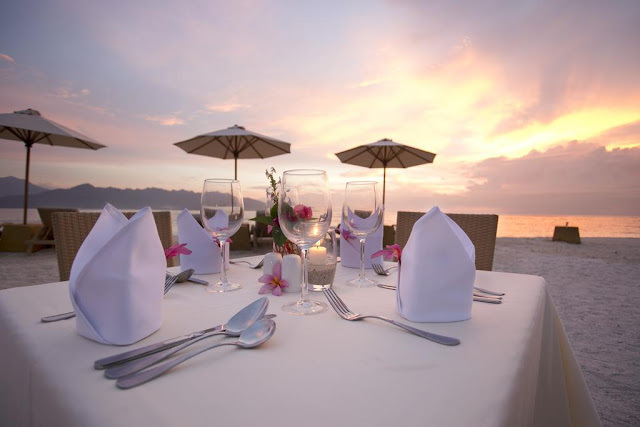 Well, are you ready to have a wonderful honeymoon in Lombok? Those 3 Lombok Best Destinations For Honeymoon can be your lists. Create your plan and decide one or two and start your best holiday in Lombok. I’ll see you!